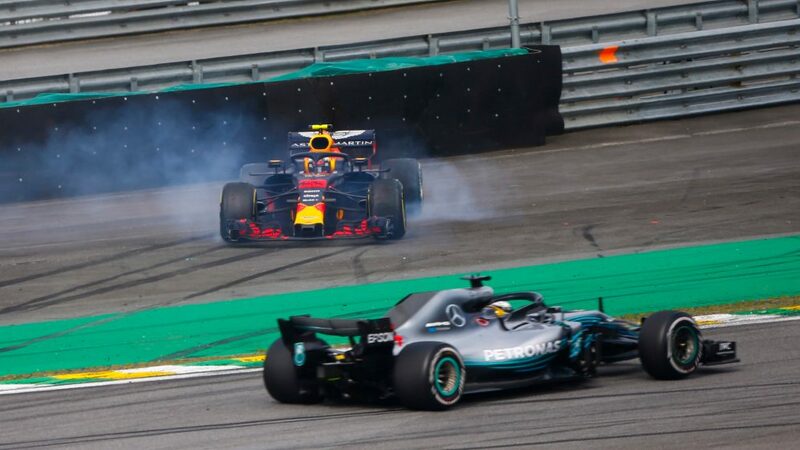 Red Bull's Max Verstappen was cruelly robbed of what looked set to be a remarkable win at Interlagos on Sunday, after a dramatic collision while battling the lapped Force India of Esteban Ocon allowed Lewis Hamilton through to take the race victory, helping to secure Mercedes’ fifth consecutive constructors' title in the process. In a thrilling final few laps, Ferrari's Kimi Raikkonen just managed to hold onto the final podium position from a charging Daniel Ricciardo who finished fourth in the second Red Bull. 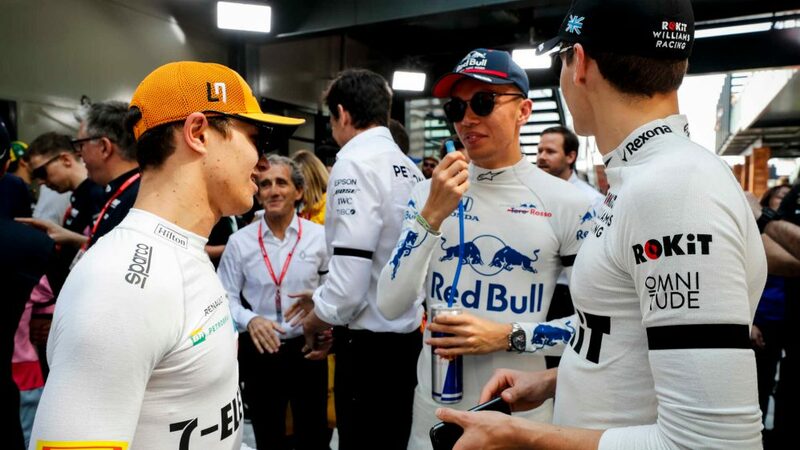 Mercedes' Valtteri Bottas took fifth and Ferrari's Sebastian Vettel sixth, while Sauber’s Charles Leclerc drove a fine race to claim the best-of-the-rest prize in seventh. 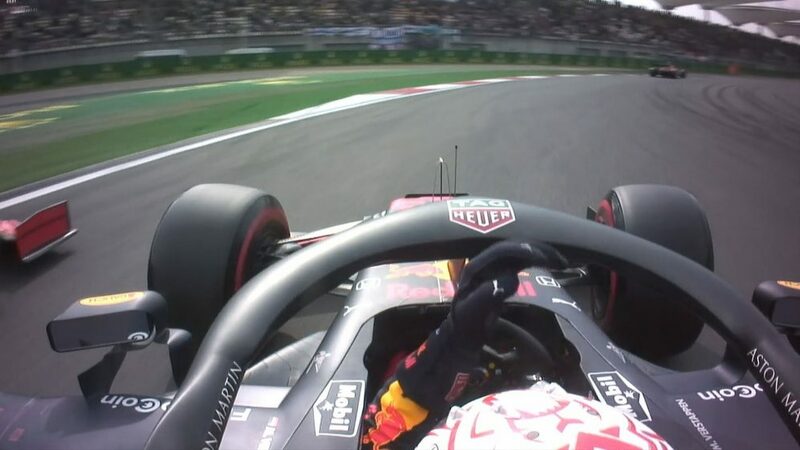 For starters, he'd been decisive off the line, pulling a fantastic move around the outside of the fourth-placed Raikkonen into Turn 1, although the Finn quickly paid him back three corners later to retake the place. 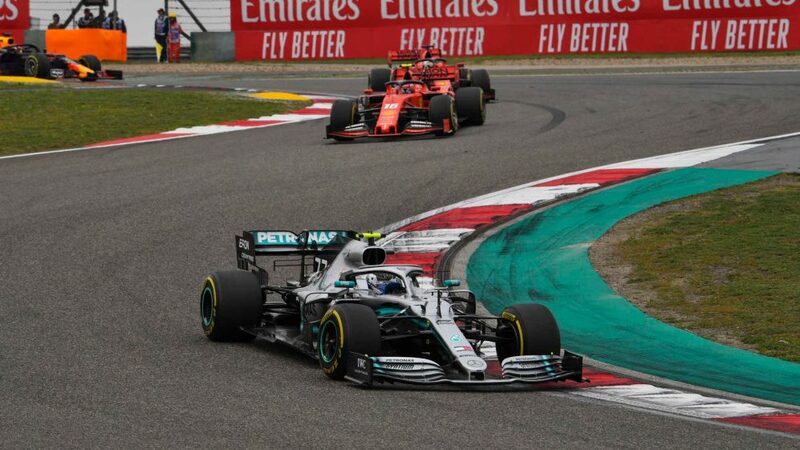 Further ahead, Vettel was beaten off the line by Bottas after failing to make a decisive getaway, as Hamilton enjoyed a silky start from pole to hold onto the lead, Vettel slotting into third behind the two Mercedes. 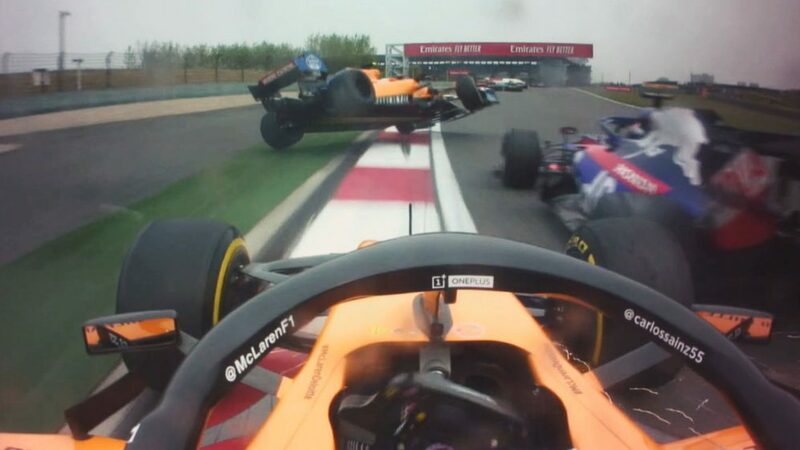 Behind, Sauber's Marcus Ericsson and Haas's Romain Grosjean played bumper cars into Turn 1, Ericsson suffering floor damage that would ultimately put him out of the race on lap 21 – a shame for the Swede after he’d enjoyed the best Saturday of his career in what looks set to be his penultimate weekend as an F1 driver. 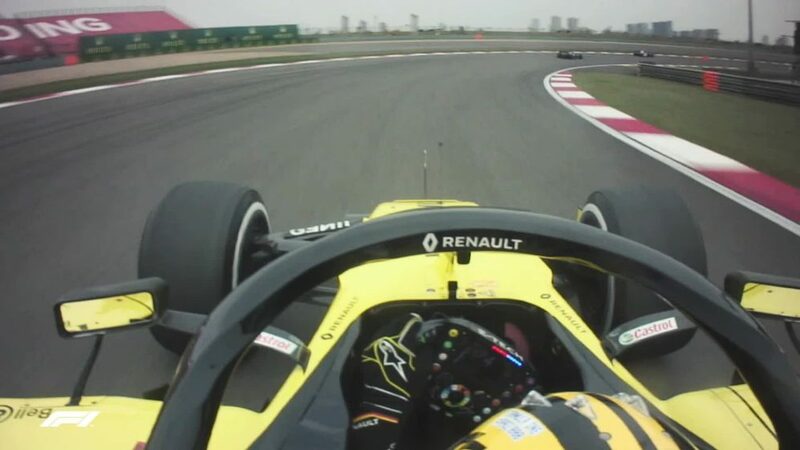 Meanwhile, Lap 2 saw the Renaults of Nico Hulkenberg and Carlos Sainz jinking angrily around each other, there appearing to be no love lost between the soon-to-be-parted team mates. That wouldn't have stopped Hamilton from enjoying taking an incredible 50th victory in the post-2014 hybrid era, however, with both he and his Mercedes team seemingly set to carry on rewriting the record books. Mercedes will now seek to match Ferrari’s record of six straight constructors’ titles from 1999 to 2004 after clinching their fifth successive triumph in Brazil. 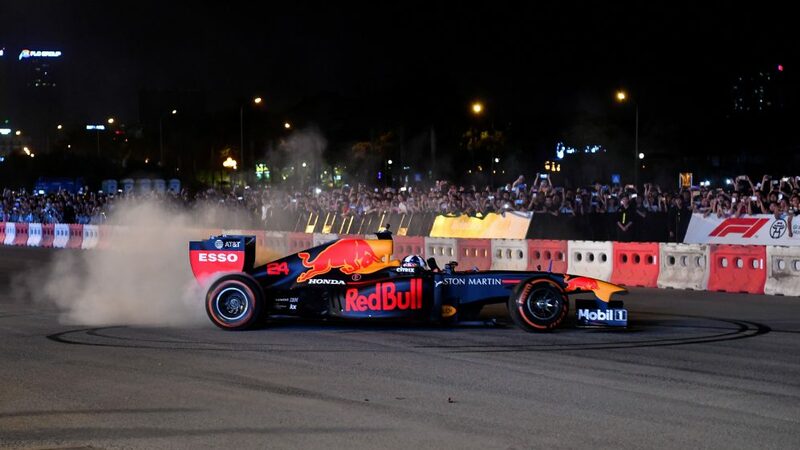 He might not have got the position he wanted, but Verstappen’s second place was his best ever result in Brazil, while his current run of four podiums is the best form of his career to date. 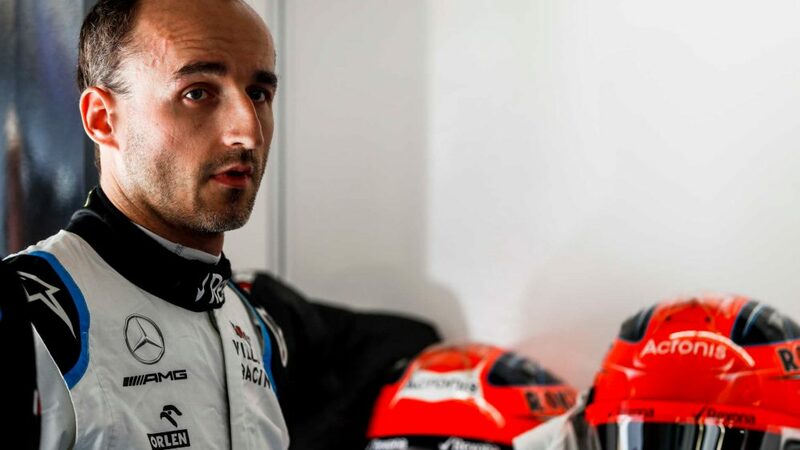 Verstappen being taken out of the race lead was perhaps racing god revenge for his father Jos taking race leader Juan Pablo Montoya out in 2001. That was Kimi Raikkonen’s 150th start for Ferrari, his seventh career podium at Interlagos and his second in a row in Brazil. Daniel Ricciardo has yet to finish on the podium in Brazil, although fourth is his best result here. Valtteri Bottas has now finished fifth in the last three races. 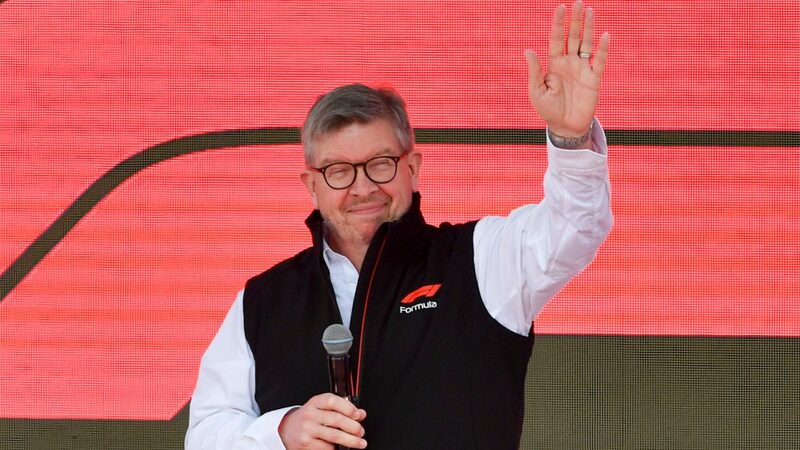 Having never scored a point in Brazil before, both Haas cars finished in the top 10 to take their first double points since the Belgian Grand Prix, both Grosjean and Magnussen equalling their best ever results here. Hulkenberg’s retirement ends his 100 percent record of scoring points at Interlagos. 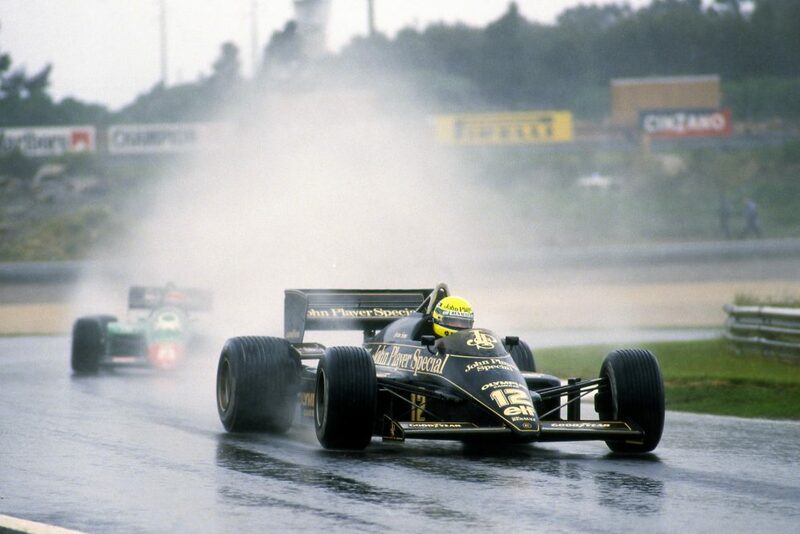 We now head to the season finale at the spectacular Yas Marina circuit in Abu Dhabi on November 23-25. 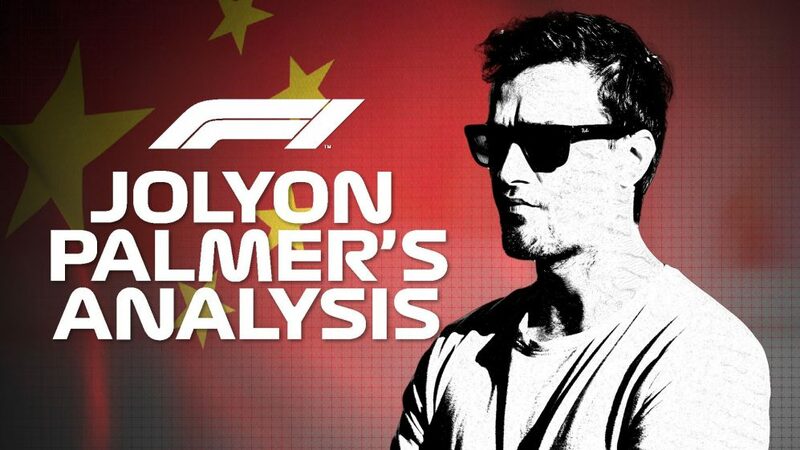 With both titles now decided, this is set to be an enjoyable romp for personal glory, as the drivers – with no championship pressure to dictate their strategies – go all-out for the final race win of 2018.